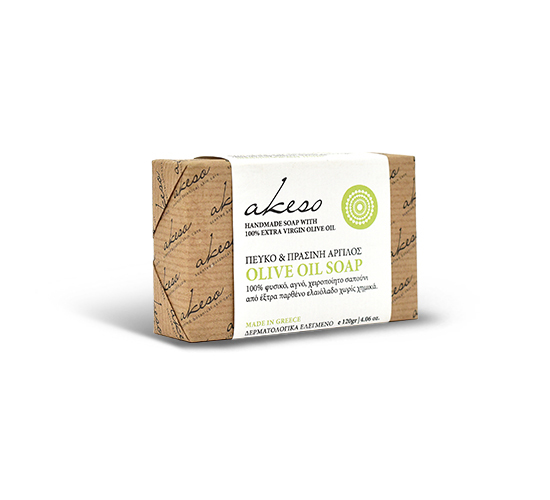 A therapeutic and strengthening soap thanks to laurel, sage, lavender, nettle, and rosemary extract. It is naturally colored with spirulina and green clay. The combination of cedar, rosemary and lavender essential oils prevent hair loss, dandruff, and dry skin. Εxtra virgin olive oil, soda (NaOH), coconut oil, palm oil, sage and rosemary extracts, green clay, spinach, essential oils of lavender, rosemary and pine, Vitamin E and water from the springs of Taygetos.